May 23 is the 143rd day of the year(144th in leap years) in the Gregorian calendar.There are 222 days remaining until the end of the year. Perumbidugu Mutharaiyar, also known as Suvaran Maran and Perarasar Perumbidugu Mutharaiyar was a king of Thanjavur who belonged to the Muthuraja community. He ruled over Thanjavur, Trichy, Pudukkottai, Perambalur and Thiruvarur as a feudatory of the Pallava dynasty. He attended the coronation of Nandivarman II. Pope Urban I was Bishop of Rome or Pope from 222 to 23 May 230. He was born in Rome and succeeded Pope Callixtus I, who had been martyred. It was previously believed for centuries that Urban I was also martyred. However, recent historical discoveries now lead scholars to believe that he died of natural causes. Giovanni Battista de' Rossi was an Italian Roman Catholic priest. He served as the canon of Santa Maria in Cosmedin after his priest cousin died, and he was a popular confessor despite his initial fears that his epileptic seizures could manifest in the Confessional. Rossi opened a hospice for homeless women not long after his ordination, and he became known for his work with prisoners and ill people, to whom he dedicated his entire ecclesial mission. Saint Julia of Corsica, also known as Saint Julia of Carthage, and more rarely Saint Julia of Nonza, was a virgin martyr who is venerated as a Christian saint. The date of her death is most probably on or after AD 439. She and Saint Devota are the patron saints of Corsica in the Catholic Church. Saint Julia was declared a patroness of Corsica by the Church on August 5, 1809; Saint Devota, on March 14, 1820. Both were martyred in pre-Christian Corsica under Roman rule. Julia's feast day is May 22 in the Roman liturgical calendar. 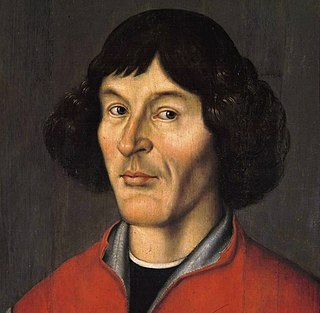 Nicolaus Copernicus was a Renaissance-era mathematician and astronomer who formulated a model of the universe that placed the Sun rather than the Earth at the center of the universe, in all likelihood independently of Aristarchus of Samos, who had formulated such a model some eighteen centuries earlier. Desiderius of Vienne was a martyred archbishop of Vienne and a chronicler. December 21 is the 355th day of the year in the Gregorian calendar. 10 days remain until the end of the year. September 20 is the 263rd day of the year in the Gregorian calendar. 102 days remain until the end of the year. ↑ Scholfield, Sy. "norrie mAy-welby: Horoscope Profile @ Queer Stars". astroqueer.tripod.com. Retrieved 2018-03-06. Wikimedia Commons has media related to May 23 .